Those of you that follow our social media channels may be aware that in September last year we were accepted onto a rather exciting initiative that is run out of the University of Cambridge Judge Business School. 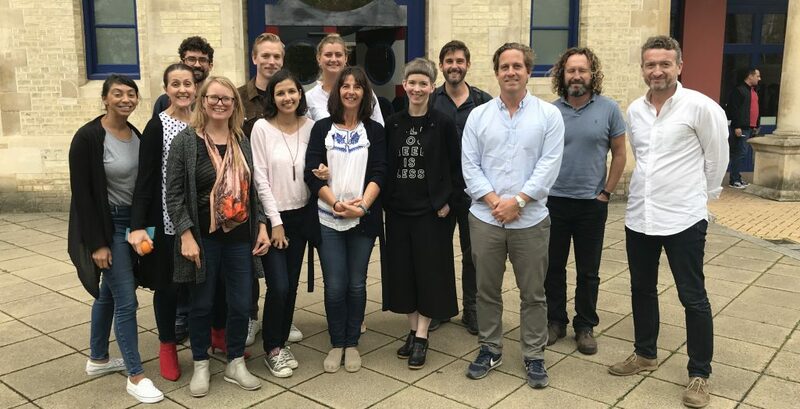 Aimed at supporting a range of businesses that have positive social and environmental impact, Cambridge Social Ventures is a wonderful initiative. We’re delighted to have been invited to be part of a cohort of 13 businesses accepted onto the Social Ventures Incubator. As part of the incubator, we are privileged to be able to access some of the most cutting-edge expertise in the social enterprise space. We get 6 months of structured support along with a mentor to help guide us through the complexities of this new way of doing business, where the social or environmental purpose of a business is becoming as important as profit. This new way of doing business is getting some interesting and high-level press, of which Andrew Edgecliffe-Johnson’s Beyond the bottom line: should business put purpose before profit? is an excellent example. Do have a read. It’s very good. Having begun late last year, we are now half way through the 6-month structured support and to say it’s been helpful is something of an understatement. With support from the faculty, we have been able to redefine our value proposition for Friends of Wild Philanthropy, which is central to the success of the charity. This has resulted in us securing three new Friends and two that we hope will be joining us soon. The three secured Friends results in $180,000 (over three years) to help us protect Africa’s wildlife and wilderness. As well as this, the programme encouraged a sweeping review of legal structures, something many social businesses really struggle with. We are a particularly complicated case as we have both a philanthropic arm (Wild Philanthropy) as well the less-well-known business arm (Wild Enterprise), the latter enabling us to partner with on-the-ground eco-businesses, the commercial returns from sustainable travel being an essential part of long-term solutions to the challenges we see facing Africa. Fortunately, this complexity seems to be something that the faculty thrives on. We are lucky enough have Karen Leigh Anderson as our mentor. She’s been an incredible support vis-à-vis helping us review legal structures and so move towards a setup that legally locks our social and environmental mission into our Articles of Association of Wild Enterprise. This being the case, our business arm puts as much weight into its social and environmental mission as it does with being profitable, which allows it to distribute profits to Wild Philanthropy.